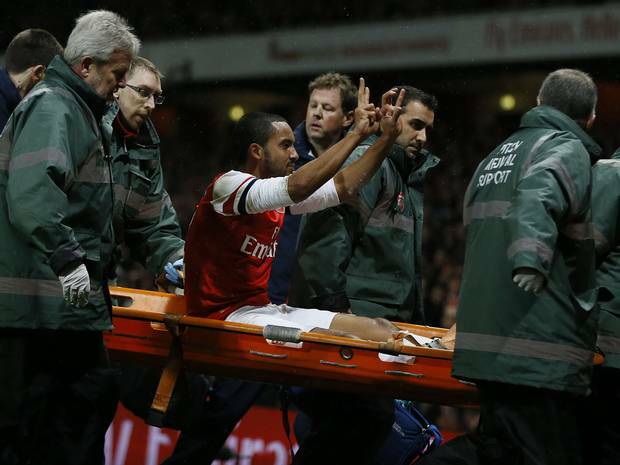 Theo Walcott is almost ready to return, and I, for one, can’t wait for it. Despite not being very impressed by Theo Walcott in his early days, this guy has made some tremendous improvements over the years and is now one of my favourite players. He stayed quiet when many were labeling him as brainless footballer; he worked hard on his movement off the ball, his crossing and his finishing, becoming the best finisher at the club, in my opinion. There were days when I didn’t feel comfortable at all seeing Theo Walcott going one on one with a goalkeeper, now I don’t even bother waiting for the outcome of his finish when he’s clear through on goal – I simply know he’s going to hit the back of the net with brio. Also, I love the way he stretches the pitch as wide as possible before shifting inside between the full-back and the centre-back – none of our other strikers or wingers can do that so well. Of course he still has a lot to do because he’s virtually unable to take on opponents if he’s not at full speed already, however his improvements should be lauded greatly. 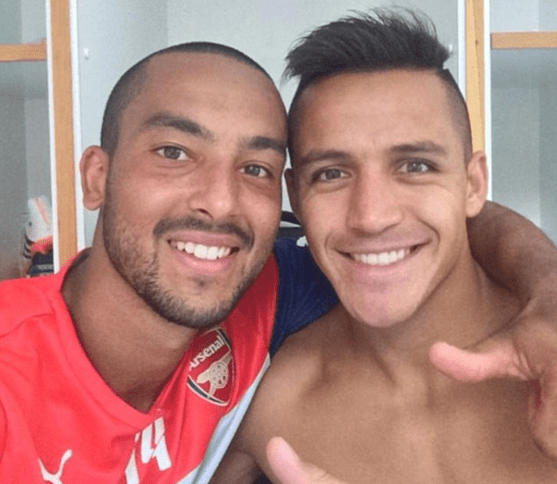 Last season showed us the huge difference between the Arsenal with Theo Walcott and the Arsenal without Theo Walcott; I still remember how hard we were all crying for a fast, direct forward while Theo Walcott was out injured. All of a sudden, our attacking line looked static, predictable and ineffective without his blistering pace and his runs – with Olivier Giroud unable to pick a teammate with his flicks and Aaron Ramsey short of passing options. Here’s why I can’t wait to have him back in the team. My only concern is where and how Arsène Wenger in planning to play him. He has options, though: Theo Walcott could play as main striker, second striker, right winger or left winger – hence Arsène Wenger has a plethora of choices and should ensure the Englishman’s main skills will be well highlighted. Personally, I would love to see Theo Walcott complete his route and eventually become the closest to Thierry Henry’s long-awaited replacement we could imagine. He has all the qualities to do what Tití was doing on regular basis: scare defenders with his pace from the left wing, score goals and stretch defensive lines with his movement off the ball, allowing teammates to pop into the box untracked. In my wildest dreams, Arsène Wenger is playing Danny Welbeck up front, Mesut Özil in the hole, Alexis Sanchez on the right and Theo Walcott on the left. It’s still allowed to dream, isn’t it? Saying that you were not impressed when Theo first started playing for us shows a failing in the way Wenger seems to not let a new player play the kind of game that is natural to him. I think Theo came to us from Southampton and before he joined us he played the kind of game that he plays now. Wenger changed Henry from winger to striker and it was a tremendous success but now he seems to think that everyone he buys he must use out of position and it’s going to be a master stroke…..ask Ozil. And by the way, when is he going to give the world class Chamberlain a proper chance to show his World Cup form? Er, not sure Joel Campbell is world class material. He had a terrific game at the World Cup against Uruguay but that’s pretty all he got, one more in the Champions League against United last year, too. He looks raw at best, I think AW doesn’t rate him very highly (so far) and his performance against Soton in league cup didn’t help. Too bad we crashed out of the league cup, he could have played a part in there as I don’t see him getting minutes in the league or in Champions League. Maybe the FA Cup? AW loves to change players’ positions but I am not sure this is an automatic thing. It didn’t work at times (Arshavin, Özil only partially) but he turned Henry into the best striker ever, Kolo Touré into a magnificient centre-half, Lauren in a great full-back, van Persie in a deadly striker etc. He wanted Theo to play on the wing to improve his vision and awareness but he often referred to Walcott as a striker, not a midfielder, hence I think he always saw his future as a goalscorer. I hope Theo will complete his evolution and become a major asset to our attacking unit, he has qualities to do that. As per Chamberlain, he’s getting more and more minutes on the pitch, hopefully this will be his breakthrough season but he’s still very young. Also, he has some fierce competition in midfield, especially thru the middle – his preferred position. Will see what happens, the talent is there. Blatantly. If only it could happen on regular basis…fingers crossed! Leave a Reply to geekaybee Click here to cancel reply.